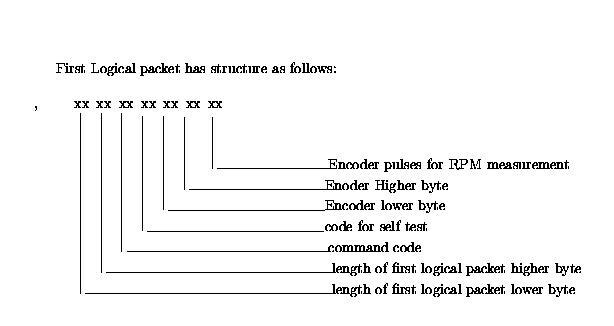 The communication between the Antenna Base Computer and the FPS is asynchronous in the sense that in each burst,a number of packets are sent in given direction.Each frame is 11 bit which consists of 1 start bit,1 stop bit, and 9 data bits.Baud rate is 9600bits/sec ABC uses its serial communication port for transmission and reception of data to various MCMS . LTC485 differential signals are used for communication purpose. 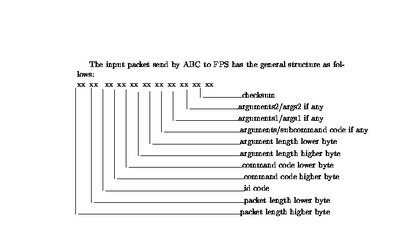 The communication protocol for ABC-MCM communication is nothing but the fixed packet structures. 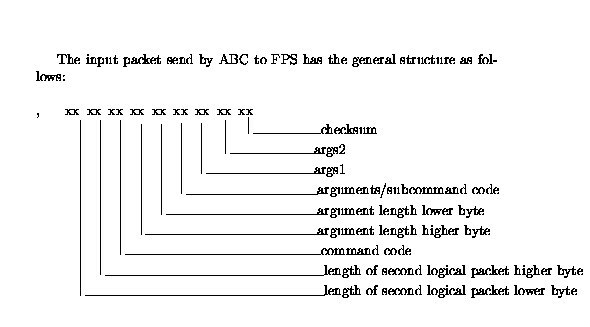 The ABC sends the predefined input packet for each command. MCM microcontroller accepts the data send by ABC, decodes it and executes the corresponding command. The MCM responds to ABC by transmitting the output packet structure which gives the command status,FPS status ,motor speed, current encoder count.